SSgA survey finds the vast majority of employees think their employer should provide resources to improve their financial wellness and decrease their stress levels. Are your employees spending their work time dealing with personal finances? Employers, take note. 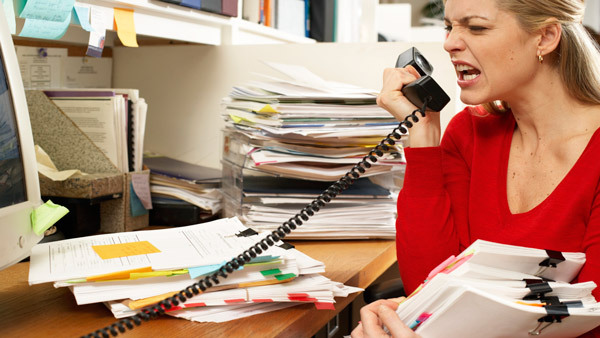 Your employees are stressed and distracted by their finances, and it’s affecting their jobs. According to the March 2015 State Street Global Advisors Biannual DC Investor Survey report, more than 3 in 5 defined contribution plan participants experience a moderate to high level of financial stress. And, according to the survey, as many as 4 in 10 participants across income levels say financial stress has caused their productivity at work to suffer. On average, survey respondents report spending five hours of work time each month dealing with their personal finances. State Street Global Advisors released the findings of its March 2015 SSgA Biannual DC Investor Survey at a press briefing in New York on Wednesday. The DC Investor Survey, conducted in January, was a 20-minute Internet survey using a panel of 1,009 verified 401(k), 403(b), 457(b) and profit-sharing plan participants, ages 20 to 69, who were working at least part time. The report suggests that employers should take a more holistic, financial wellness-based approach to their employees’ retirement planning and saving. Because, perhaps surprisingly, the survey found that saving for retirement was not causing participants the most stress. While plan sponsors already support employees’ retirement readiness, the report found that for many employees the importance of retirement planning fades in the face of more immediate concerns. Almost 47% of the survey respondents said they are living paycheck to paycheck. “That’s a huge number,” Yost said during the press briefing. And not only that, she said, almost 50% are not completely confident that they could find $1,000 in an emergency. The survey also examined the role employers can play in helping to mitigate their financial troubles, since the survey found that the vast majority (80%) of employees agreed that their employer should provide resources to improve their financial wellness and decrease their stress. “What we’re seeing is a cultural shift within how employers are trying to engage employees around thinking about retirement and a broader, more holistic footprint,” Yost said during the briefing. From its conversations with Fortune 500 companies, State Street gathered a list of tips and best practices for employers who want to establish or expand a strategic financial wellness program. Collaborate. “Bring your service providers together to determine how you can focus their collective resources on specific communication priorities — whether it’s explaining how to use a health savings account (HSA) or describing how the retirement plan’s default option works,” according to the report. Automate for emergencies. “Consider making savings accounts available through credit union partnerships or even automatically enrolling employees in an emergency savings fund in conjunction with your retirement savings plan,” the report states.